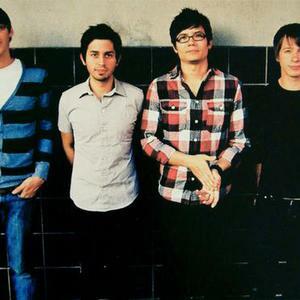 Tenth Avenue North is a Contemporary Christian band from West Palm Beach, Florida. It features Mike Donehey on vocals and acoustic guitar, Jeff Owen on electric guitar and backup vocals, drummer Jason Jamison. According to the You Are More Songfacts, they took their name from a major east-west road in Palm Beach County. They released their debut album "Over and Underneath" on May 20, 2008 on Reunion Records. Their song "Love is Here" hit the Top 20 on the U.S. Contemporary Christian Music chart, with it being listed #3 as of June 21st 2008. They released their debut album "Over and Underneath" on May 20, 2008 on Reunion Records. Their song "Love is Here" hit the Top 20 on the U.S. Contemporary Christian Music chart, with it being listed #3 as of June 21st 2008. They also won this years Dove Awards for the new 1#Artist of the year! The band's next album "The Light Meets The Dark" came out on May 11, 2010. The first single from that album, "Healing Begins", was released on March 2, 2010. The band's third album, The Struggle, came out on August 21, 2012. Speaking with Songfacts, Mike Donehey explained a theme of the album is "empowering people in the midst of temptation." The first single from that album, "Losing", was released on May 18, 2012.